Learn how to combine the capacities of the PLC at Work™ process and powerful technology tools to transform teaching and learning. Now is the time to transform education! By combining the capacities of the PLC at Work™ process and powerful technology tools, teams of educators can meaningfully modify teaching and learning. Realize the potential of virtual collaboration to support the PLC process, and discover research-based strategies collaborative teams can implement to meet contemporary challenges and reach sustained levels of deeper learning. Learn about the three strategic levels for organizing virtual teams, and consider the 10 dimensions for engineering a strategic e-connection. 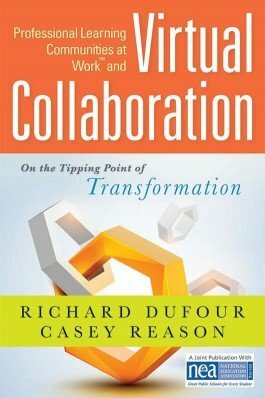 Gain insights on how to organize virtual and face-to-face teaming in order to bolster success. Examine an example case scenario in which a high school successfully uses technology to implement the PLC at Work process. Study the elements of effective leadership in collaborative teams and approaches that can help put these keys into action. Reference a comprehensive glossary of PLC and virtual collaboration terms and a list of websites to help support virtual teamwork.